A September wedding is usually beautiful - that transition between summer and Autumn which brings soft light and rich colours. Lucy and Andy”s ceremony at the majestic St John’s Kirk Perth was followed by a stylish and relaxed reception at the wonderful Byre at Inchyra. 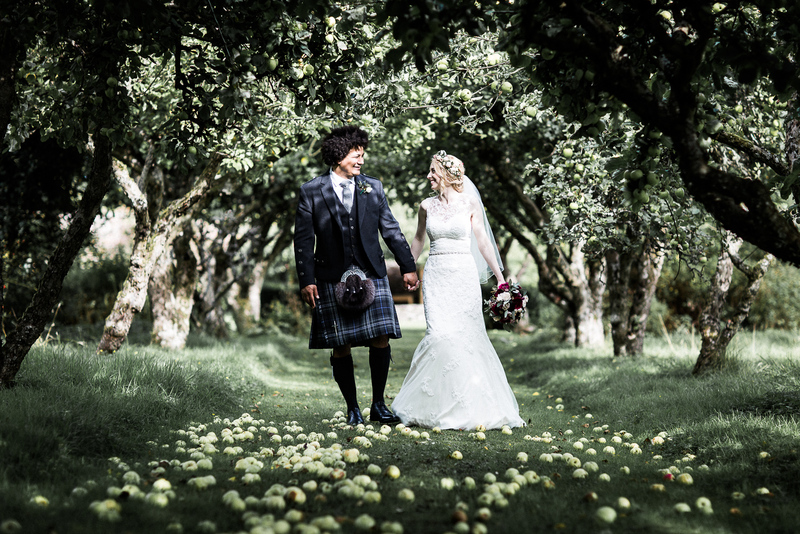 For their couple shots we ventured to the walled garden, crunched windfall apples underfoot and took time out. Their styling was impeccable and personal - red and pink relaxed florals in gin bottles, vintage furniture and personal photographs from their time together as a couple. Read about their beautiful wedding soon on SWD. 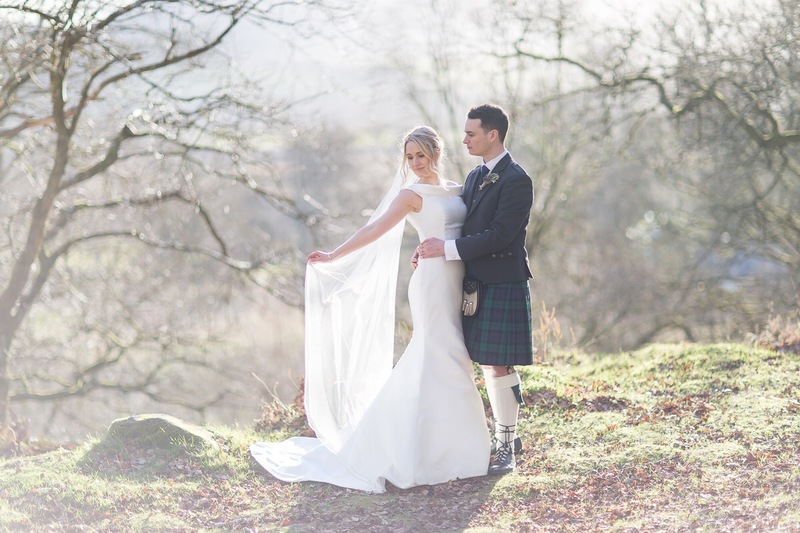 Hannah and James’ stunning February wedding at Comrie Croft epitomised everything that we love avbout the Croft. The gorgeous location, the rolling Perth shire countryside and the blank canvas of the barn allowing each couple to make their wedding truly their own. The couple chose soft pastel hues with lots of foliage and vintage props. Family and friends pitched in to help turn the barn into a beautiful backdrop for the reception and ceremony and we were blessed with such gorgeous light. Read more about their wedding over on SWD. When you combine two musical brides, a Scottish castle and dinosaurs, you know it’s going to be an exceptional day. Rhona and Poppy certainly made it their own. From friends playing their music throughout the day, another friend creating their beautiful flowers and the evident love of their couple and their families; it was truly memorable. 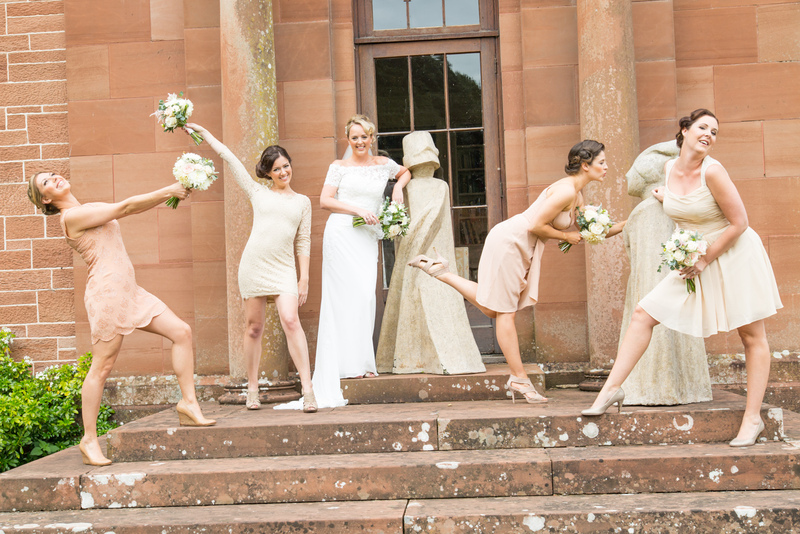 Read their full story on We Fell in Love, Scotland’s Best wedding blog. A stunning March day, a picturesque loch side church and the beautiful rustic setting of Comrie Croft set Eilidh and Robert’s wedding apart - looking at their light filled images, it’s hard to believe that this was Scotland. The couple (with lots of help from family and friends) decorated the barn with lots of greenery and personal touches - references to Scottish islands, photographs from their time together and the atmosphere of a fresh Spring garden. We were delighted too see their wedding shared on The Scottish Wedding Directory - enjoy reading their full story. When you met singing in a choir and you have numerous musical friends, chances are that your wedding is going to feature THE most beautiful music. It’s rare as photographers that we actually hear the music; usually the intensity of concentrating on shooting the present cancels out all other senses. However we both found ourselves moved to tears during the choral music of Kate and Andy’s ceremony at Crieff Parish Church. 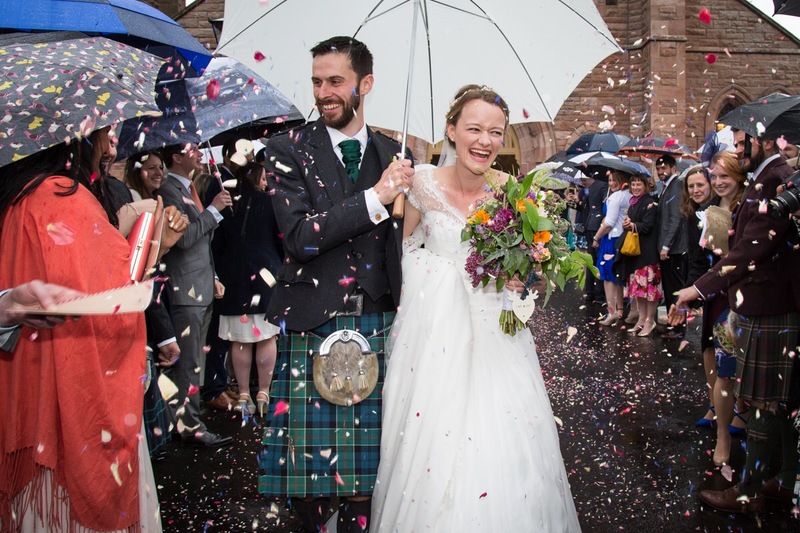 They followed their beautiful ceremony with a relaxed and joyous reception at Comrie Croft. Cakes, elephants and a flash choir created a day that was both unique and truly memorable. We didn’t even noticce the rain! Read more about their wedding over on We Fell in Love. Hannah and Fred’s September wedding was a joyous blend of Australia and England with a touch of Scotland and bags of style. Tradition met tipi chic with a ceremony at the groom’s childhood church followed by a tipi reception overlooking the Northumbrian countryside. Soft blush tones were complemented with deep magenta florals and a nod to their shared love of cuisine - table names were favoutite pies. 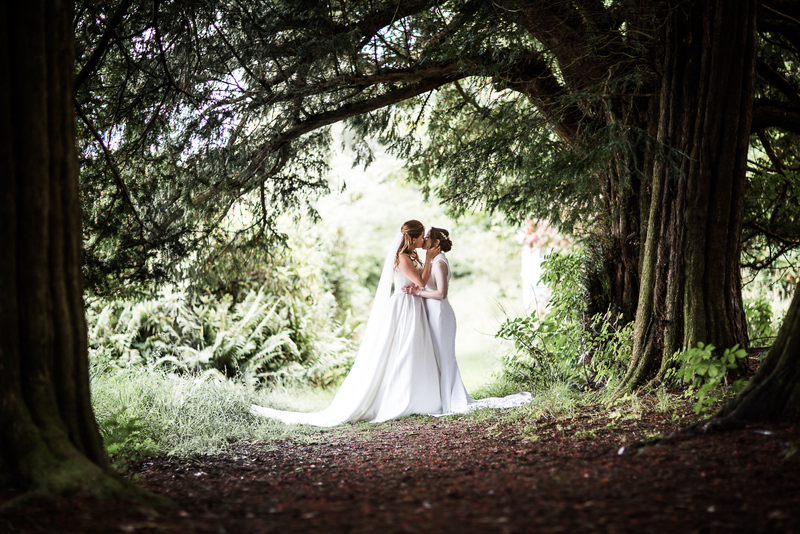 Read more about their beautiful wedding over on Brides up North. 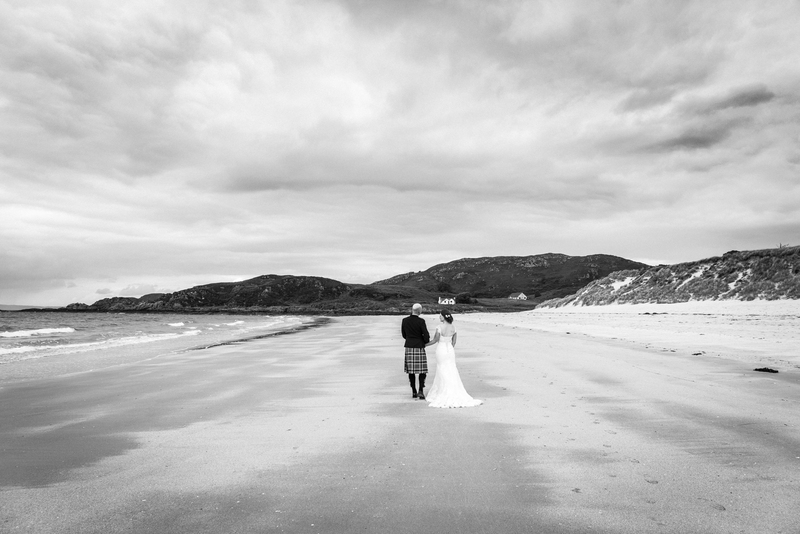 Christina and Kenny chose to marry on the beautiful Camusdarach beach where they had spent many happy times camping and, with views over to Skye, the bride’s family home was visible. There is simply nothing as special as marrying on the sand with the turquoise sea as a backdrop - the beach setting was relaxed and deeply personal. A reception at the wonderful Arisaig House with great Scottish food and music created a memorable day. Read more about their wedding over on Braw Brides.